Palladium (Pd) is a white, soft, ductile metallic element in the platinum group, and a transition element. In addition to the general uses of these metals, palladium is used in dental and other alloys. Powdered palladium absorbs up to 900 times its own volume of hydrogen, forming a metallic hydride, and , being permeable to hydrogen at high temperatures, it is used in the produced of very pure hydrogen. 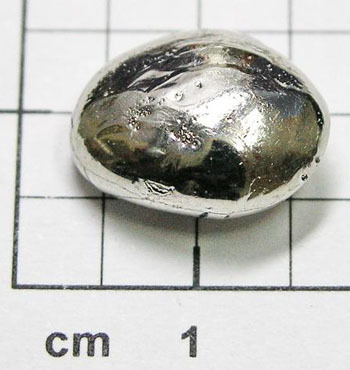 Palladium was discovered in 1803, and is found in nickel ores associated with platinum. Its most common isotope is 106Pd (27.3%).